Every week we aim to re home an animal currently being cared for by an animal refuge on the island. The project is supported by professional photographers from around the island, the PR firm Phoenix Media, and The Majorca Daily Bulletin. It may still be January, but the dreaded processionary caterpillars are already hatching out due to our mild winter weather. One conscientious pet owner came into CalviaVet last week asking for advice on how to protect her cats from the perils of the hairy pests. “I know someone whose dog had to have half its tongue removed after it ate a processionary caterpillar,” she explained, “so I thought I should come in and get advice directly I saw the first one in my garden. Another increased danger for some pets caused by our mild weather, is mosquitoes. These carry the devastating disease of Leishmania which annually infects hundreds of Majorcan dogs. “Leishmania is hardly known of in Northern Europe, so many expatriates don’t realise that they need to protect their dog,” Dr. Anna Pink of CalviaVet confirmed. “It is a tropical disease spread by the tiny sand fly mosquito and works in a similar way to an autoimmune disease. It can affect all the organs of the body, but is often first picked up from skin eruptions or fast growing nails. Like malaria, it can lie dormant within an animal for a time before recurring in flare-ups. “It’s impossible to over-stress how important it is to protect dogs from Leishmania; ironically everyone is aware that their pet should have an annual rabies vaccination, even though the island is rabies-free, but many don’t know Leishmania exists, yet it is common throughout the island,” Dr. Pink said. Other pet diseases spread by mosquitos include Heartworm, but this is rare on the island and to date the only reported cases have been in the North. Ticks can infect animals with Anaplasmosis which causes blood clotting problems and joint pain, but this is curable with a special antibiotic. Our unnaturally warm weather this winter has also caused the flea population to continue breeding. “Our sales of products which rid your pet and home of fleas are usually far less after November … but not this year!” Dr Pink commented. While we may all be enjoying the clear blue skies and balmy temperatures, this long Indian summer means we need to be abnormally vigilant that our furry friends don’t fall foul of a non-dormant insect population. 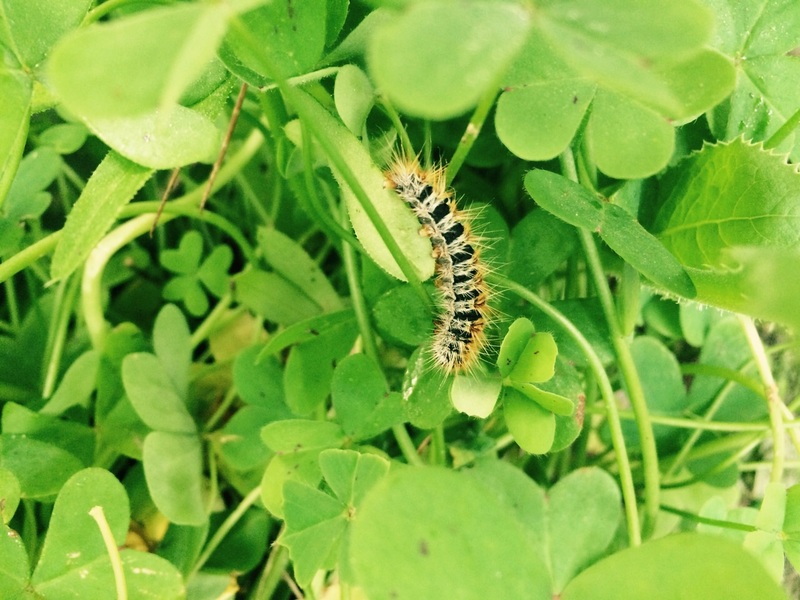 It is the time of year when many pet owners love rambling through the woods and mountains of our beautiful island, but we already need to keep an eye out for caterpillars and take precautions against mosquitos to keep them safe.